I visited two places during a one-week of field trip to Sabah, Malaysia. An initial study plan for this trip was observing nesting behavior and nest construction. Although I was able to see wild orangutans in Danum Valley every day during the stay, it was only once that I have seen orangutan's nesting behavior. Furthermore, it was even hard for me to find used-nest without any experiences and help of expert. Therefore, I changed to focus on watching whole behavioral patterns and find differences between wild and semi-wild orangutans. 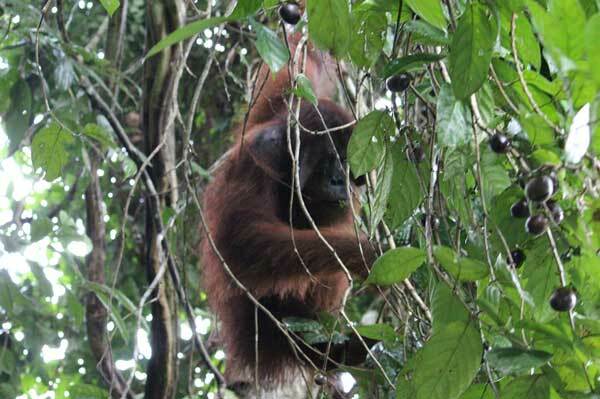 In Danum Valley conservation area, I observed wild orangutans. Since a flanged adult male called Abu often had came close to a lodge, he was the most observable orangutan among others. I saw mother and two infants together additionally. The second place I visited was Sepilok Rehabilitation Center for orphaned orangutans. In the center, I observed orangutans who voluntarily come close to a place called platform B to get food which is minimally offered by staffs for twice a day, though those had successfully released to the forest. I also went to backyard of the center and saw 2-year-old orphaned orangutans and one disabled female adult orangutan at close. 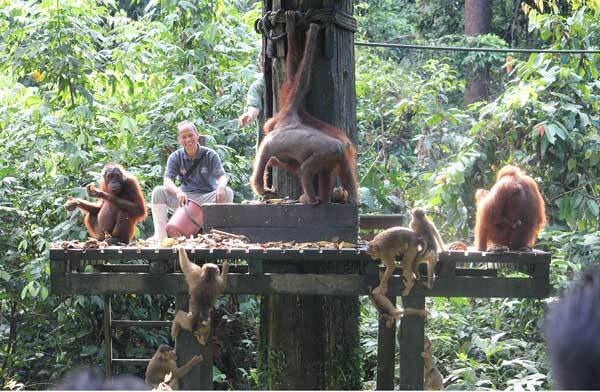 In addition to seeing several different behaviors compare to wild orangutans, such as vomiting behavior, it was interesting to see an interaction between orangutans and other primates, such as crab-eating macaques and pig-tailed macaques, which also live in the forest and come to the platform to get foods.